This post is Sponsored by Cuties and all opinions in this post are my own of this yummy product. Thanks Cuties for always bringing SUNSHINE!! 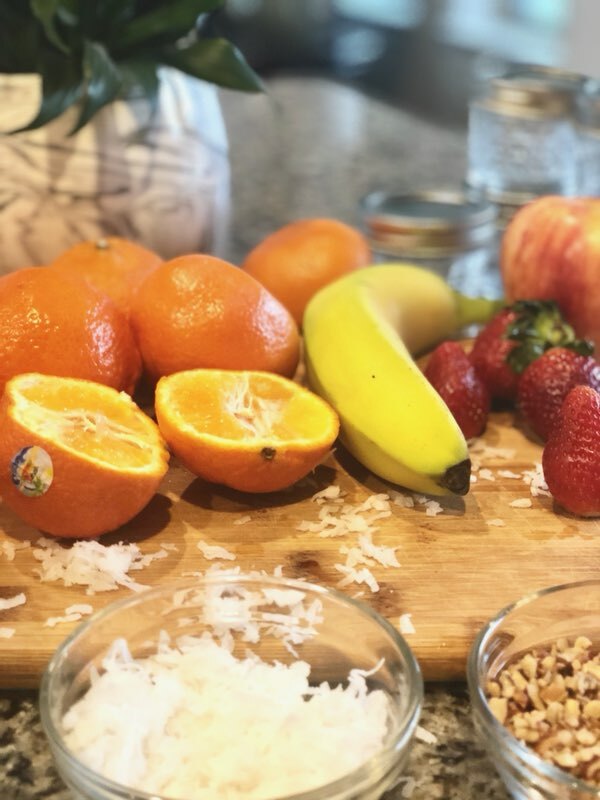 With the Holidays at a close and school starting back this week, it's time to get back on track with eating healthier and prepping healthier snacks for my boys. Cuties citrus always helps bring the sunshine to our home, especially on weeks that call for adjusting and getting back to our normal routine. These California grown goodies allow me to be creative with snacks on the go for my boys, and they love them! 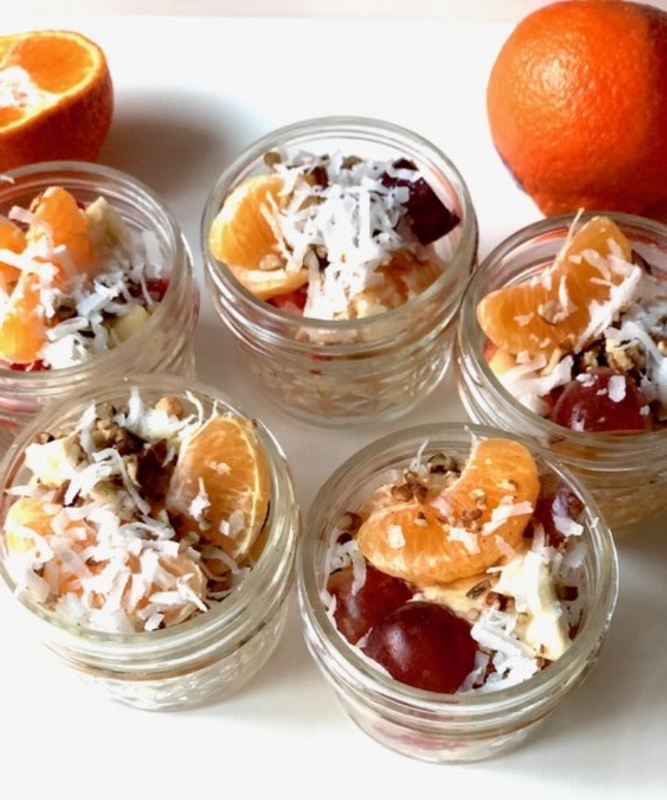 One of our favorites is a simple fruit cup in a jar. We enjoy pairing bananas, apples, grapes and strawberries; with cuties. 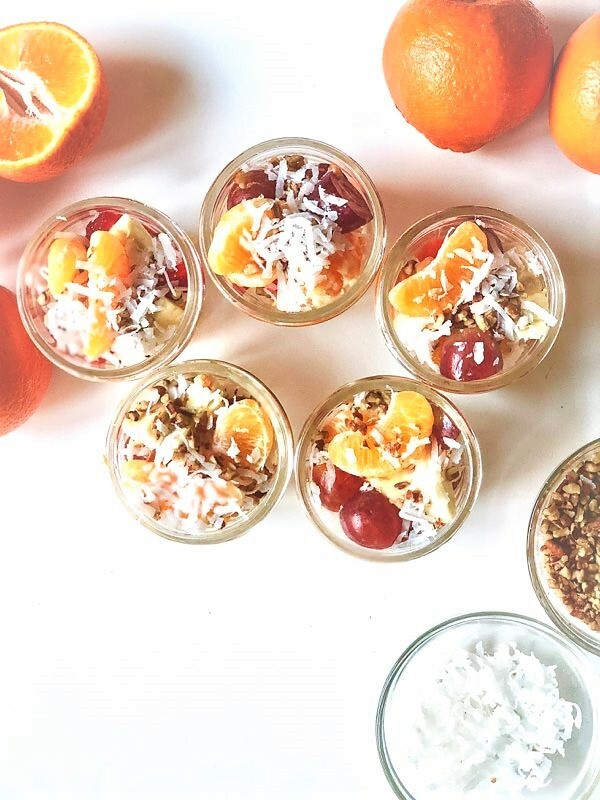 Which makes for a delicious fruit mix; topped with chopped pecans and a sprinkle of coconut, and you have yourself a yummy snack for any time of the day. They are perfect for the adults in the house too! Chopping your favorite fruit and then placing them in a small mason jar with a lid and they are easy to grab and go! These yummy cups bring the perfect amount sunshine to our home with the help of Cuties Citrus.. Find out more about Cuties at www.cutiescitrus.com.